Hoping all had a lovely Christmas. 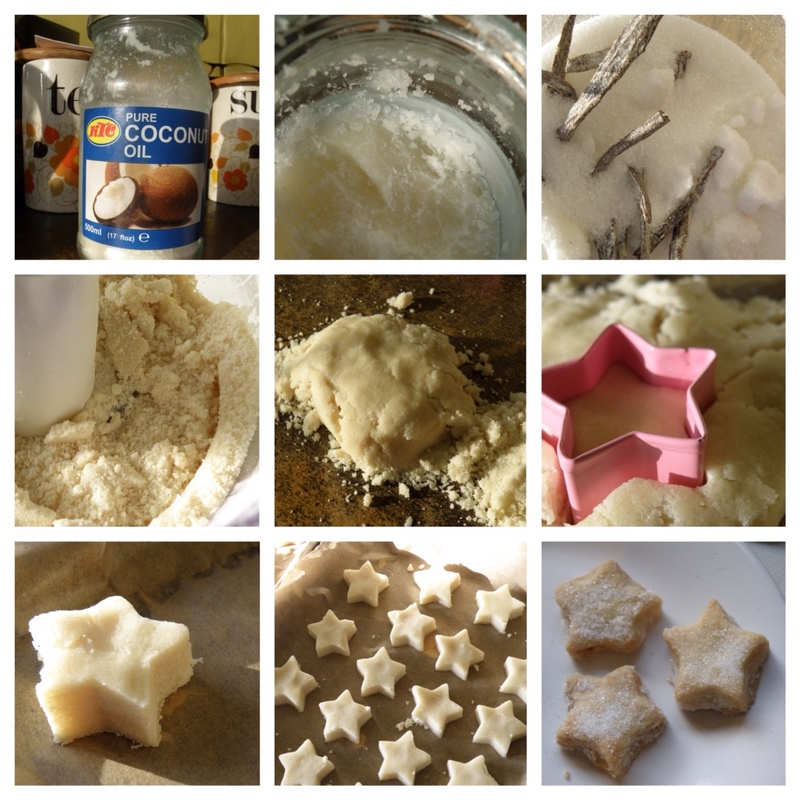 I have been desperate to try coconut oil for ages in baking so when I saw some for a reasonable price I snapped it up with the intention of trying to make some dairy free shortbread. I have tried before using dairy free margarines but the texture and flavour just isn't right at all, I hoped the high fat content of the coconut oil might give better results and I wasn't wrong. After a little research and comparison of butter and coconut oil I discovered that butter contains a certain percentage of water so I tried to replicate that as much as possible in the recipe. I am not used to getting it right on the first attempt so was thrilled they were so delicious. My five year old loved them and the tin had to be hidden in the end. Combine the coconut oil, dairy free margarine and sugar and blitz until broken down and combined or use hand mixer or fork to get the same result. Add the flour and cornflour and blitz/ combine until you have a sand-like mixture. Add the water then give a final blitz/ mix until you have what I can only describe as a “moonsand” like mix that will stick together when compacted. The mixture will not roll out but you have to squeeze and flatten to the thickness desired. Make sure it is compacted enough then you cut and gently push out of the cutter. Continue to push and squeeze the mix together until all used up. 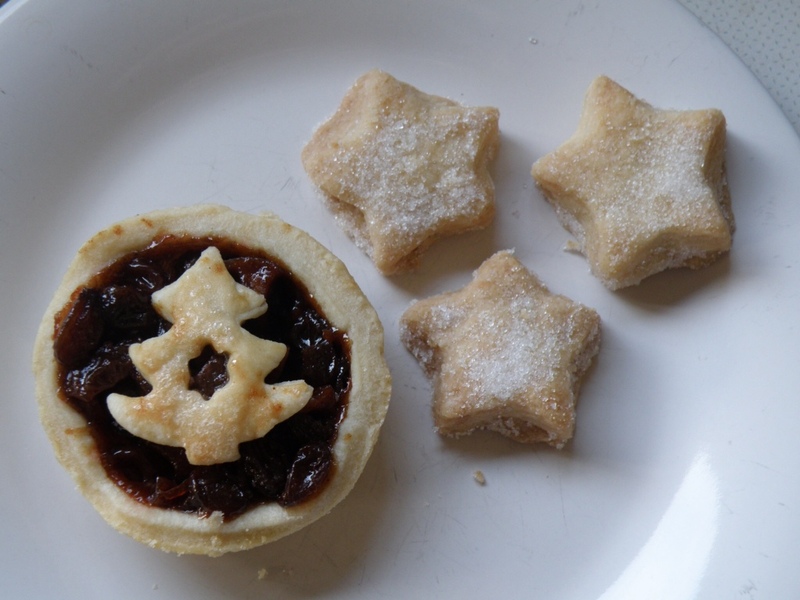 Alternatively you could push into a tin and cut lines in just after baking. Bake for approximately 12 to 15 minutes which I find is about the time a lovely smell starts coming from your kitchen and when the biscuits are starting to turn golden at the edges. Remove from the oven, sprinkle caster sugar over then leave to cool on a wire rack before eating. Store well for a few days in an airtight tub or old sweetie tin. 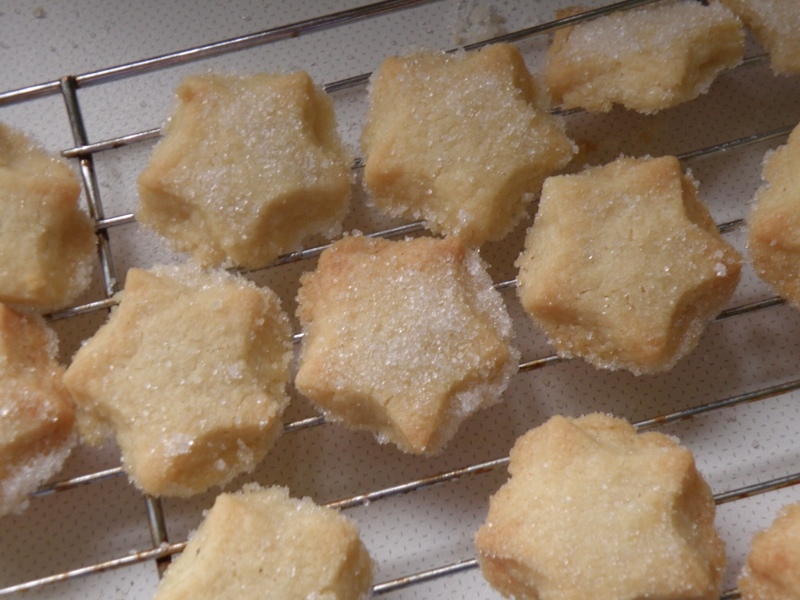 sound good, I agree dairy free shortbread just does not have the crucncj and texture normal does…..but then if you dont know normal…..Did you make the mice pies with the mix as well?